In the far north-west of South Africa, on the border with Namibia, lies the Richtersveld. At first glance, it is a desolate and inhospitable place with hot sandy plains and startling, jagged mountains of black rock. But there is a remarkable variety of life here, and it is one of the world’s only biodiversity hotspot located in an arid region. 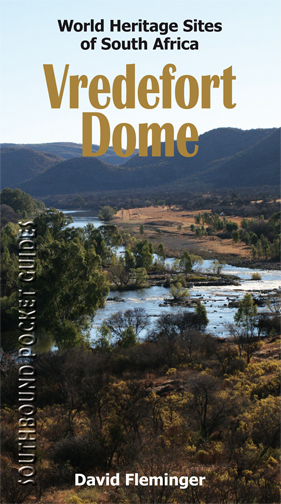 This travel guide to the Richtersveld contains all the information you need to explore this stunning region. 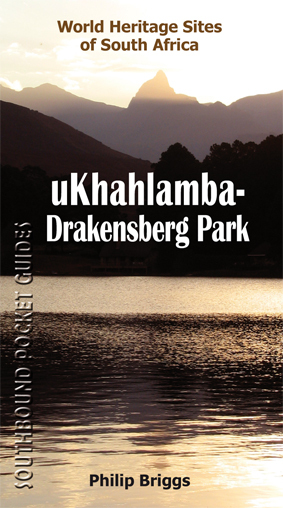 It covers the geological, botanical and cultural history of the area, and it contains full details of where to stay and what to do. 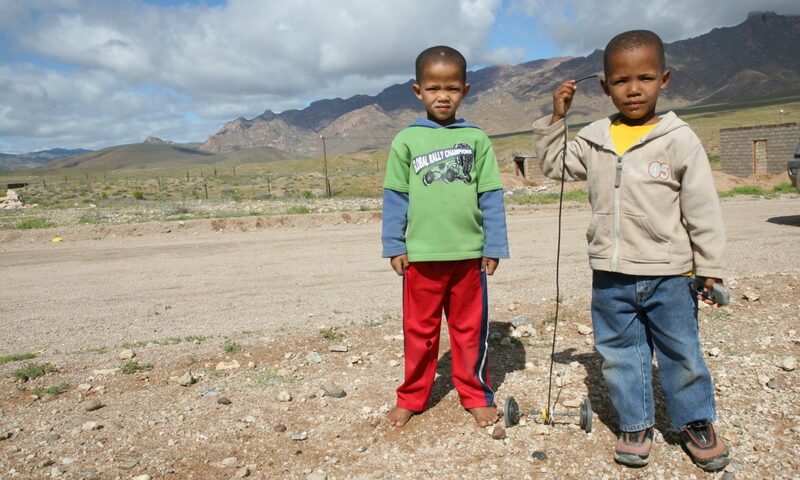 The guide includes the Richtersveld Community Conservancy, the Richtersveld National Park, as well as the nearby towns of Alexander Bay and Port Nolloth. It even goes across the border into Namibia, where the Richtersveld is joined with the Ai-Ais hot springs and the Fish River Canyon in a spectacular Transfrontier Conservation Area. Also included: a planning guide to seeing the incredible wild flowers of Namaqualand, which cover the desert with a carpet of colour every spring. As such, thousands of plant species, many of which are endemic to the area, can be found in the Richtersveld. It is also the home of the last remaining groups of Nama (Khoikhoi) people who still practice their traditional semi-nomadic lifestyle, living in portable reed huts and moving with their flocks of sheep and goats. This now-unique form of transhumance, combined with the region’s amazing botanical wealth, have earned the Richtersveld Conservancy the title of South Africa’s eighth world heritage site for its natural and cultural significance. 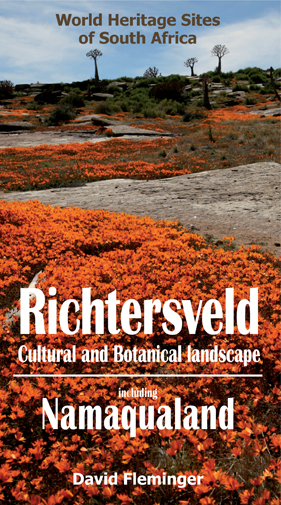 This travel guide to the Richtersveld contains all the information you need to explore this stunning region. 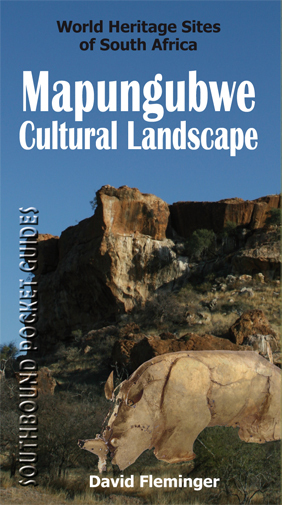 It covers the geological, botanical and cultural history of the area, and it contains full details of where to stay and what to do. The guide includes the Richtersveld Community Conservancy, the Richtersveld National Park, as well as the nearby towns of Alexander Bay and Port Nolloth. It even goes across the border into Namibia, where the Richtersveld is joined with the Ai-Ais hot springs and the Fish River Canyon (said to be the 2nd largest in the world) in a spectacular Transfrontier Conservation Area. The Richtersveld is also part of the greater Namaqualand region, which runs south from the Orange River for several hundred kilometers. This beguiling part of the world has won international renown for its annual spring flower spectacle, when millions of flowers burst out of the ground to mount a staggering display that attracts visitors from all over the world. 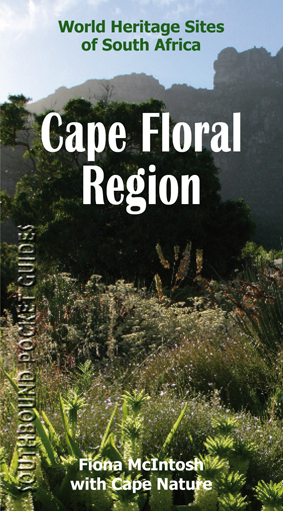 The guide will tell readers all they need to know to plan a trip to Namaqualand, both in and out of flower season.